where is this kitchen from? I love this kitchen and especially the island countertop. Hi Tani - It sounds like you have a kitchen project. 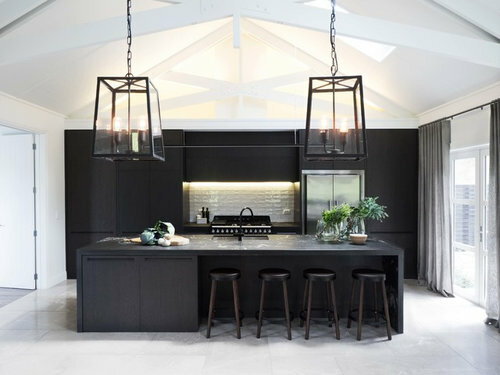 I designed the kitchen and it was made by one of my local contractors here in New Zealand. The stone was a stunning slab of Titanium Granite. All very unique. I have not seen one quite so amazing since. Aww why are all the lovely things never available, ha ha. Where does this kitchen come from?